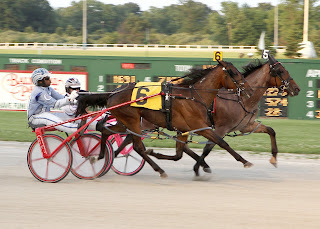 It’s back south of the border this week for the mainline artery of harness racing as a number of divisions hold major events in the Midwest and the East. Older trotters return to the scene in a prep for the Titan Cup. The field includes Arch Madness, back from his semi-successful jaunt overseas. Soph-colt pacers bred in the Empire State cross paths on the half-mile at Yonkers in sires stakes events on Friday, as does the same division with competitors bred in the Garden State on Saturday on the Meadowlands mile. 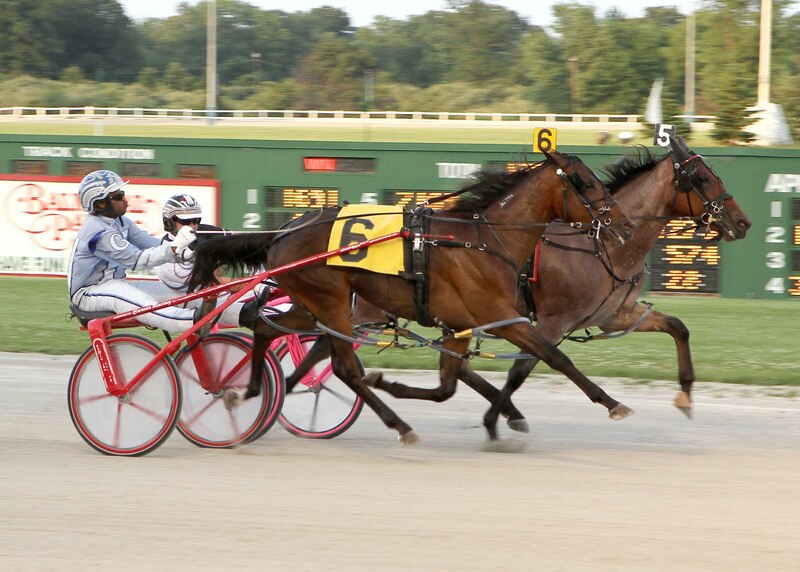 Glamour-boy colts also contest the $500,000 Hoosier Cup Saturday at Hoosier Park in Indiana. Pacing mares are the highlight in Canada in the $121,000 Ellamony Classic at Flamboro Downs on Saturday. And on Sunday at Chester, elims for the Ben Franklin puts stalwart FFA pacers in the arena. At our exclusive Hambletonian Trail blog, there is info on classic eligibles in action Saturday. First, there is the $500,000 Earl Beal Jr. Memorial for soph-colt trotters at Pocono Downs in northeast Pennsylvania. Then, at Tioga Downs in upstate New York, where the GrandCircuit’s Historic meet moves from its usual haunt at the Meadowlands. This year, Tioga hosts the Historic-Coaching Club Trotting Oaks for soph-year-old filly trotters and the Historic-Dickerson Cup for soph-male trotters on Saturday. Check out the blog late in the week for the scoop on the best on the bill heading for the August classics. The half-million dollar Hoosier Cup brings together some of last week’s other Cup colts at Hoosier Park. Big Bad John is here, trying to make up for a poor performance as the favorite in Canada. He is destined to be the choice in this event, too. Also on the bill is our Cup-consolation pick Townslight Hanover, who was disappointing against the second tier of the Cup cast. Our eyes are upon Custard The Dragon for value. Also in the consolation, “Custard” made a big statement from post 8 by soaring to the lead and holding it to three-quarters. He beat Wink N Atcha, also in the Hoosier field. He is the best of two that trainer George Teague has in here. Feel Like A Fool is the other. On Friday, June 24, three-year-old filly pacers will square off in two divisions of the New Jersey Sires Stakes (NJSS) at the Meadowlands. In the first division, it looks as if Krispy Apple will be the favorite, as she finished first or second in her eight starts, last week against the mighty gal, See You At Peelers (not here tonight) in the Fan Hanover Final. Although Honky Tonk Woman will get some play, she is the one to watch for value. 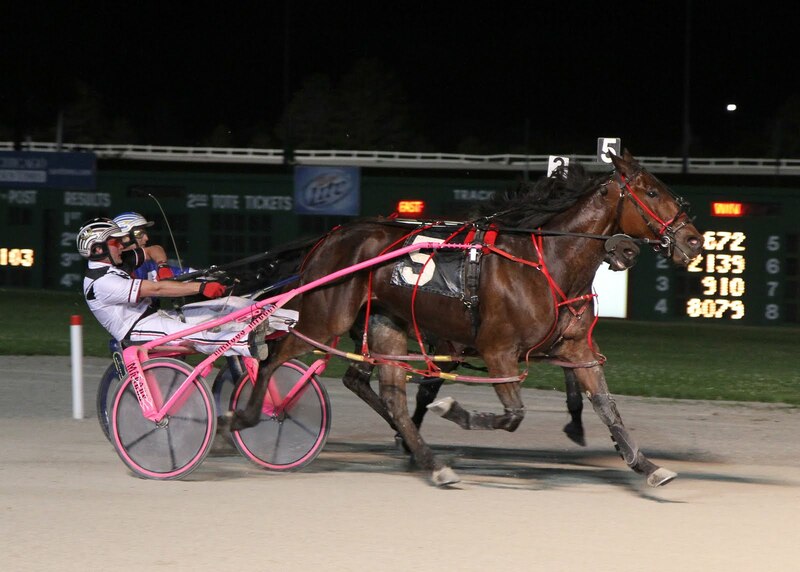 She likes the Meadowlands and is coming off a victory in the “Fan Consolation” at Mohawk. She is also an improving horse and has not yet shown all she is capable of doing. In the second NJSS division, there is no clear favorite. Still, Rocklamation may be ignored. She had some difficulty at Mohawk and was pulled up. After that, she worked out in a pretty good 1:54 mile. She is improving at three and should do better in here. In the Titan Cup prep, Arch Madness will be the likely choice since he won two of three of his last starts in Europe. He will be the one to beat but looking good against him is Pilgrims Chuckie. 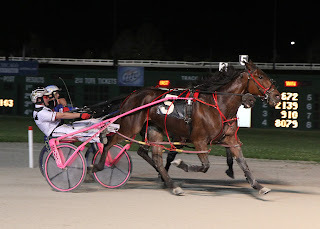 The four-year-old from 2010’s Hambletonian Trail had some difficulty in the Maxie Lee at Chester and he raced well last time at the Meadowlands. Although it will be hard to beat “Arch” in this race, also watch Slave Dream, who has had plenty of rest since winning a stakes on this oval. On Saturday, June 25, top New Jersey-bred-colt pacers battle in two divisions of the NJSS at the Meadowlands. In the first division, the likely favorites will be the coupled entry of Line Officer, Rollwithitharry and Howard’s Rock. But Lookinforadventure, disappointing of late, is capable of beating these three at a price. If you throw out his races in Canada, he has done moderately well at the Meadowlands. Maybe he will do better coming back from Canada. In the second division, Shadyshark Hanover seems like he will race like a monster in here. He is coming off a poor performance in the North America Cup, but seeing as now he is going up against a weaker field and they add Lasix for the first time, he should improve off of that last effort. Besides, there was trouble closing from far off the pace on “Cup” night and some good colts raced under par. The $121,000 Ellamony Classic for mare pacers has two stars: Western Silk and Dreamfair Eternal. The former gets post 2 and the latter post 9. This could be the perfect spot for the 3 horse, Tomorrowpan, to take advantage of the star duo. “Dreamfair” has to display speed and “Silk” will try to compromise it. However, Silk could be a spoiler here, forcing Dreamfair to waste the few steps she may need to win, handing the win to Tomorrowpan, who can save ground on the speedy half-mile trip around Flamboro Downs. Vote on the upset. On Sunday, June 26, 14 FFA pacers combat in two elims of the Ben Franklin at Chester. The top four in each elim will go to next week’s final. In the first elim, Foiled Again will be the likely favorite for his accomplishments this year and with a rest behind him. Still, he has been a bit vulnerable lately. This is why Ideal Matters is the horse to back for the upset. He won his first start this year at Chester and is as strong as most of these veterans. He has paced with the best at the Meadowlands and will have a good shot. Also watch Gallant Yankee in your exotics.